Spruce up your dream home and see it featured as a magazine cover story. As Sunnyville`s newest resident, the town is counting on you to beat your snooty neighbor Atia in the Superstar Homes Magazine Contest. Hit the local yard sales and search for hidden swag in Sunnyville`s most eccentric homes. 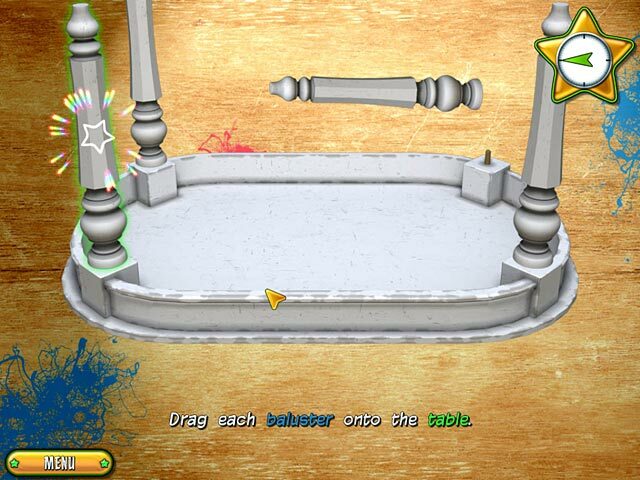 Use your crafting expertise to make divine décor out of everyday items in Yard Sale Hidden Treasures: Sunnyville. Yard Sale Hidden Treasures: Sunnyville is rated 4.3 out of 5 by 20. Rated 5 out of 5 by trishabnanny from Miss game I sure liked this game and the other one like it. Too bad someone with the knowledge couldn't go in there and revamp the game for windows 7 and higher. 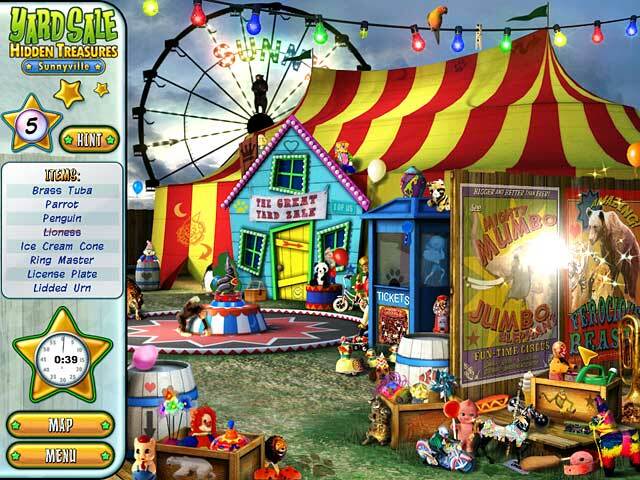 Rated 5 out of 5 by belleps from Yard Sale Fun This game is fun and addictive with a high replay value. I only wish the company made a lot more installments! 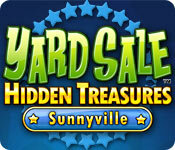 Rated 5 out of 5 by NonniDragonfly from Yard Sale Hidden Treasures: Sunnyville I loved this game. Played all the time. Would have recommended it to anyone! Now my computer will not accept because the game is an older version. Is there not something you can do? I want to play again. HELP. Rated 5 out of 5 by SeansMommy from LOVE!!!!!!!!!! I absolutely LOVE this game!!!! I have only played 12 minutes of this game but i can already tell this is going to go down as one of my all time favorites. I was (am) a huge fan of the Gardenscapes games… i like being able to play HO games while at the same time redecorate my home (or garden) This is along the same lines except instead of making money from the objects you find and using the money to redecorate your home, you are actually using the objects your find to redecorate your home. Very very fun!!! Rated 5 out of 5 by FionaMac from Need more of these! Just discovered Yard Sale Hidden Treasures: Sunnyville and played it on my Mac. Love it! It's fun and creative. I hoped to find more from this company, but apparently the only other one is Yard Sale: Lucky Junction, which is only for PC. Would love to have more of this type and quality - it's the best HOG since the Little Shop series, which are apparently obsolete. Rated 5 out of 5 by TurkeyFur from I learned a lot of crafty stuff from this game! Loved the game probably because I love yard sales and finding things that I can use to make crafty stuff OTHER than the obvious. With this game you gather up objects and do exactly that. For example I would never have thought of making a funky spice rack using a picture frame with a piece of metal in it instead of a picture, and a bunch of test tubes with magnets on the back you then fill the test tubes with spices and pop a cork on the top and stick it to the metal! I think I will even try to make this if I can find all the pieces! I found you really have to save your hints and try your hardest to find the items before using them, as if they run out and you cannot find any "stars" which will give another hint, you pretty much have to go on without finishing, earn a star somewhere else, then go back to where you left off to complete the level. I found myself wishing the game would have went on longer. Really enjoyed it and found it informative and entertaining. Highly recommend! 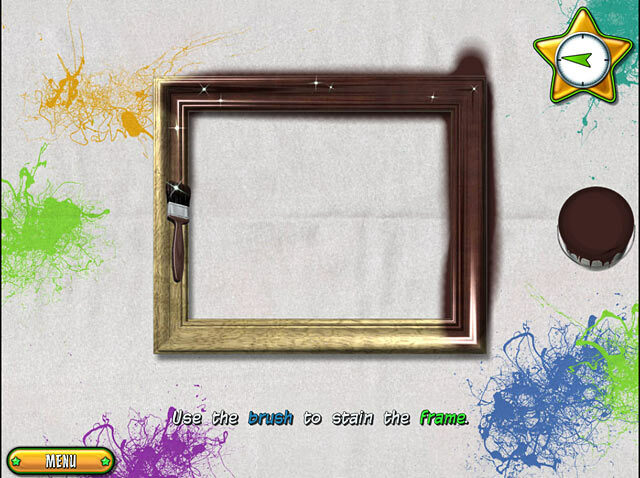 Rated 5 out of 5 by lindiva from I love this game! Wish there were more like it. I am seriously tempted to start all over again with this one, even though it takes a while...another bonus! Whoever the developer was, please keep making fun games like this one. Rated 5 out of 5 by SDKitty from Lovely Game A Fun Hidden Object game. -Good Levels and Fun. -Great Graphics and Sounds. -Mild Puzzles (Fixing or Restoring things.) Con: Not many really but Some will be upset on Low Hints for the game but really not needed in a lot of areas of play. Tough with the other Yard Sale game I did wish it had the magnifying glass.